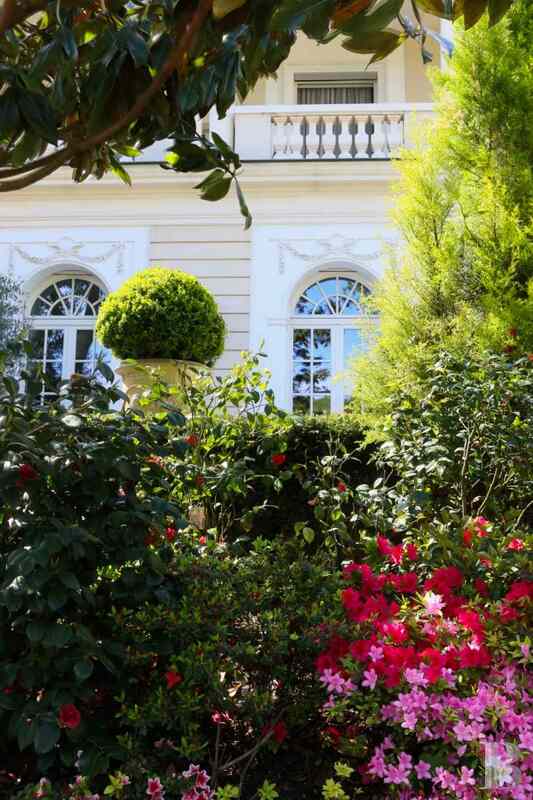 A residence, exuding an Italian air, in its flower-filled garden facing the river Marne in La-Varenne-Saint-Hilaire - houses-for-sale - in Paris left bank and right bank - Patrice Besse Castles and Mansions of France is a Paris based real-estate agency specialised in the sale of Appartments, mansion houses, lofts-terrasses, houses. In the 18th century, this meander of the river Marne was bordered by the La-Varenne meadows and dotted with a few hamlets and farms, housing the flock of a parish church, built around 1000 and dedicated to Saint-Hilaire, hence the contemporary name of La-Varenne-Saint-Hilaire. 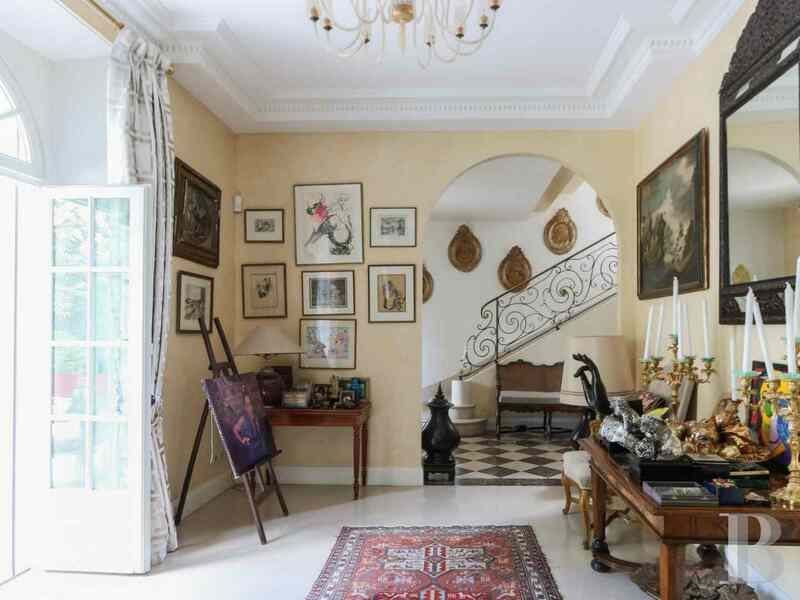 Today, it is one of the most upmarket districts in east Paris and this property stands in its most highly sought-after sector, the golden triangle. 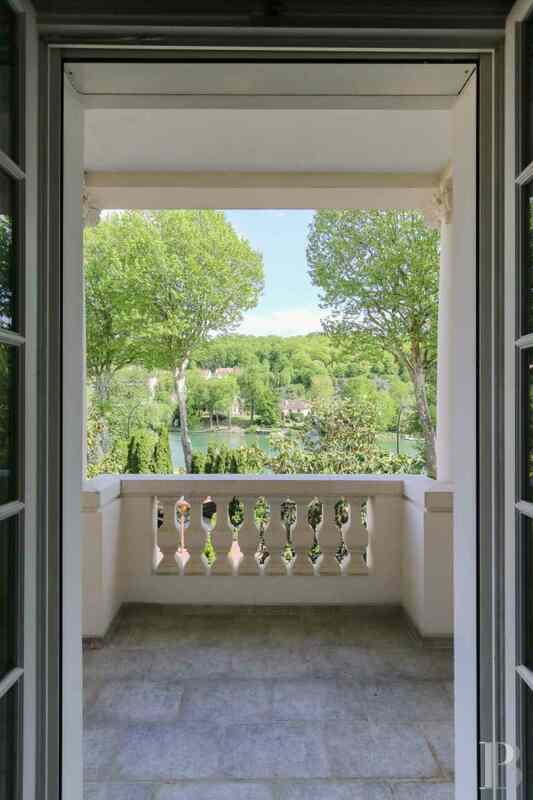 The surroundings are composed solely of large houses nestling in lush verdant settings which follow the meander of the river Marne. Several restaurants have been set up along the waterside and, in clement weather, this section of the river is ideal for rowing or for boat outings. The nearby La-Varenne market has an excellent reputation. The district is crossed by RER train line A (a station is some 500 m away) and by several bus routes. The A4 motorway can be reached in 10 minutes and provides access, in 20 minutes, to Porte-de-Bercy or, in 25 minutes, to Porte-Dorée via Bois-de-Vincennes. This area has some very good state and private schools.. 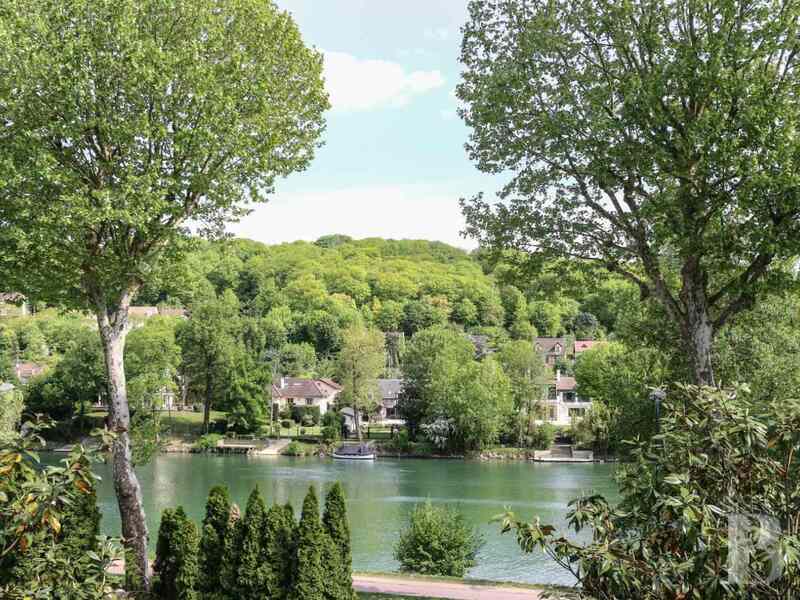 This property stands facing the river Marne in a slightly dominant position. 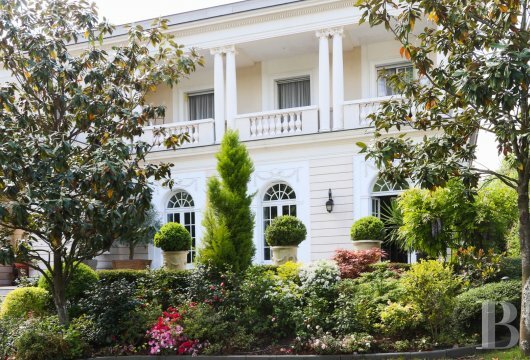 This peaceful, verdant setting is one of east Paris’ most residential areas. 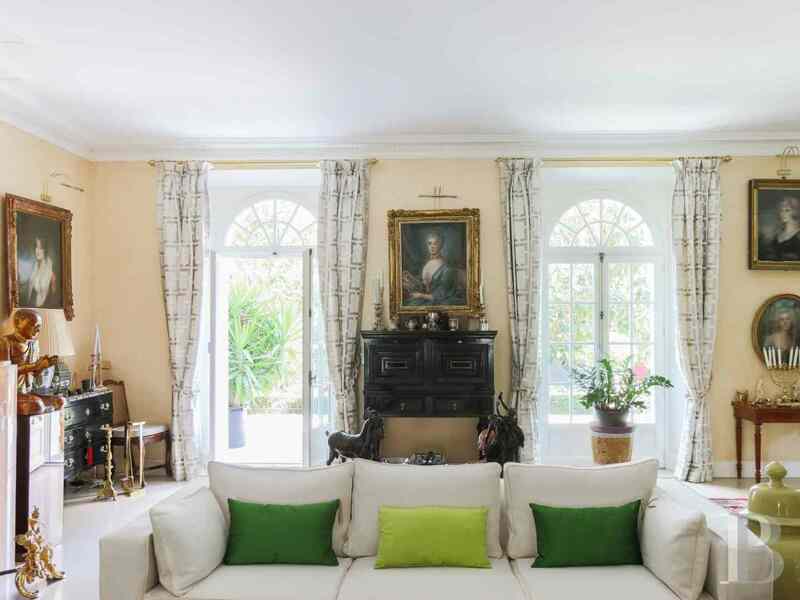 Just a few hundred metres away are a train station on RER line A, shops and the very well-known La-Varenne market. 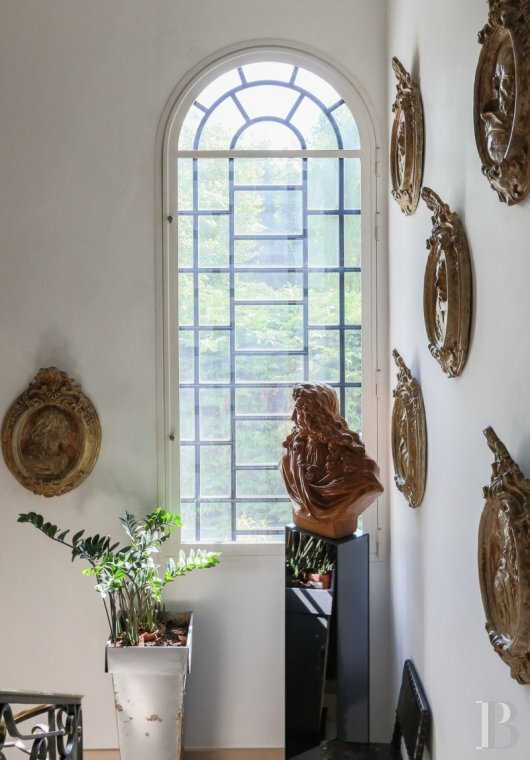 This house was built in 2008 in a style that reflects Italian architecture with a gallery supported by columns, balusters, a Palladian pediment and lintels adorned with garlands. Although impressive, it remains light courtesy of the numerous openings laid out on the facades. It spans a floor surface area, according to the French Carrez law, of 274 m² over 2 levels. Whilst the basement spans more than 180 m². The ground floor is entirely given over to reception rooms. 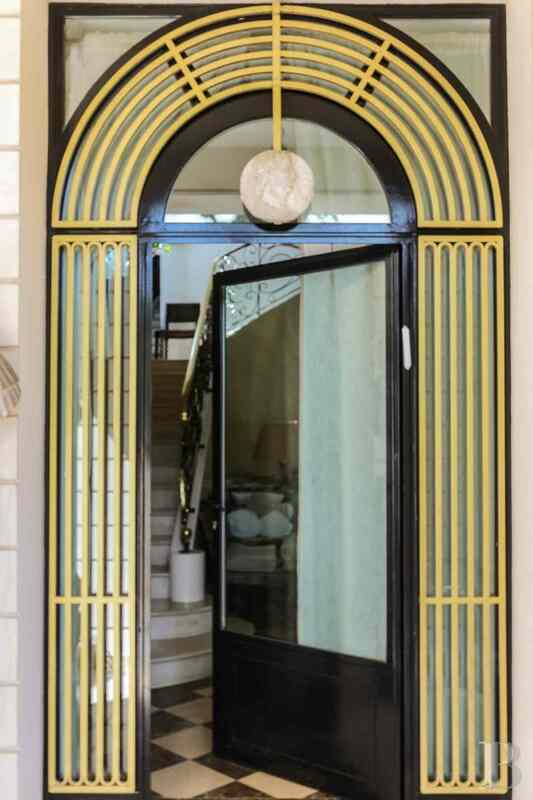 The front door opens into a vestibule, housing a monumental, dual flight, marble stairway, with wrought iron railings. 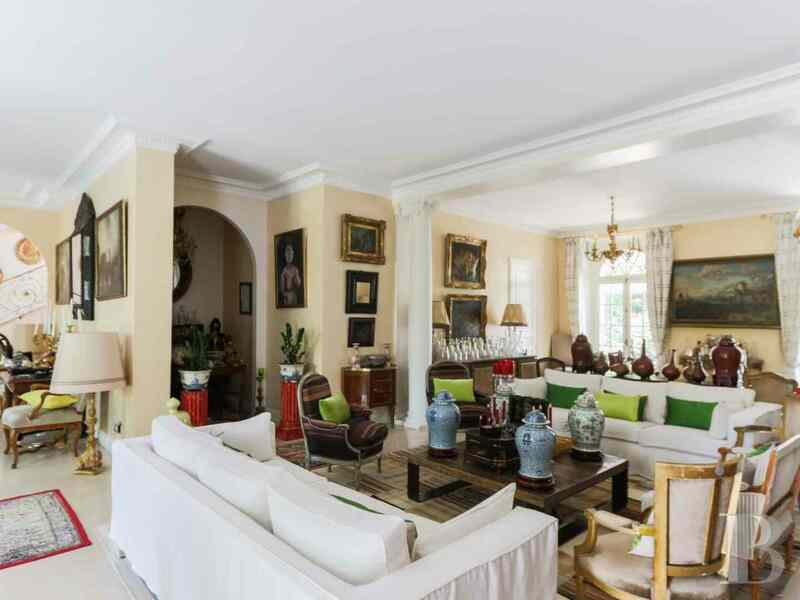 A through, 87 m² reception room, with a fireplace, opens on either side into a conservatory and on to a terrace. A dining room and fully fitted kitchen also open on to a terrace, followed by the garden. The first floor, reached via the stairway or via a lift, comprises a main bedroom, opening on to an outside covered gallery, with a bathroom and a dressing room as well as a plunging view over the river Marne. A second bedroom, with a bathroom, looks out over the garden as does a third bedroom, with a shower room. The basement houses a 4-car garage, a bedroom with a shower room, a laundry room, a boiler room, cellars and machine rooms. 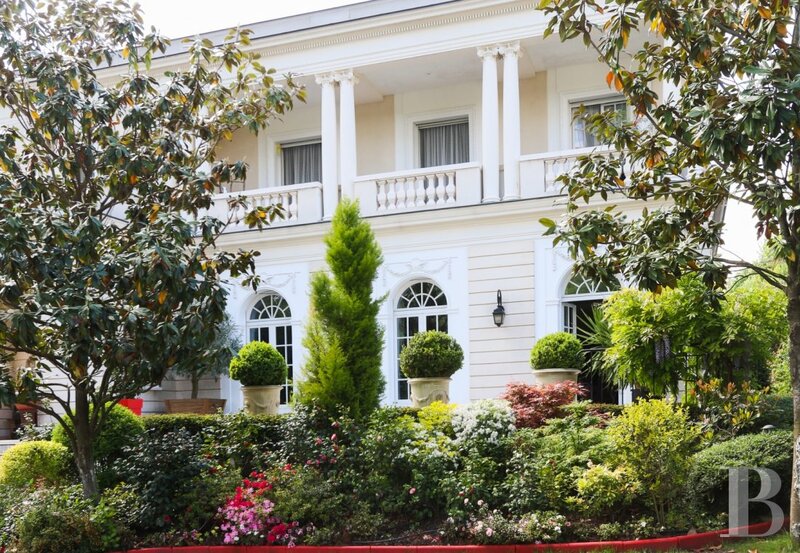 The garden is planted with an outstanding collection of trees as well as flowers and features a heated swimming pool. The entire property is in an excellent state of repair. The layout of the premises would make it possible to create an additional two bedrooms. This house spans two levels: a raised ground floor, spanning approx. 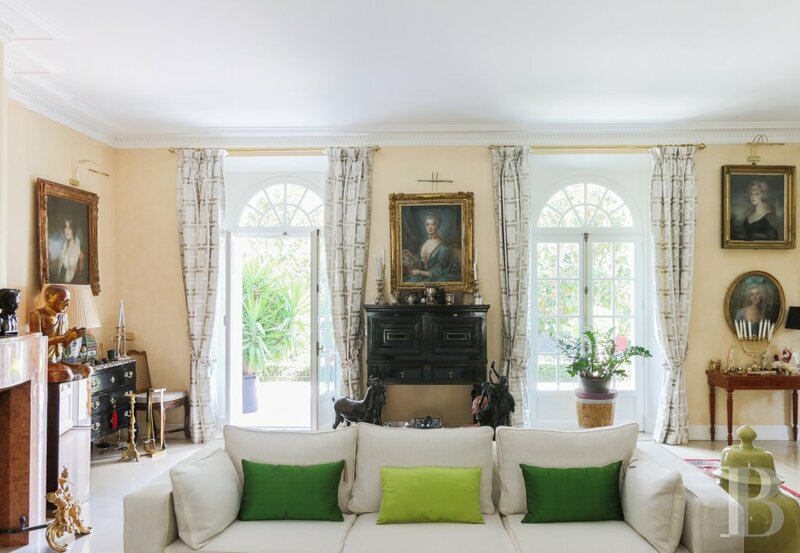 152 m², with a conservatory as well as a terrace, and a 130 m² first floor, with a covered terrace. The house stands over a semi-underground 180 m² basement. 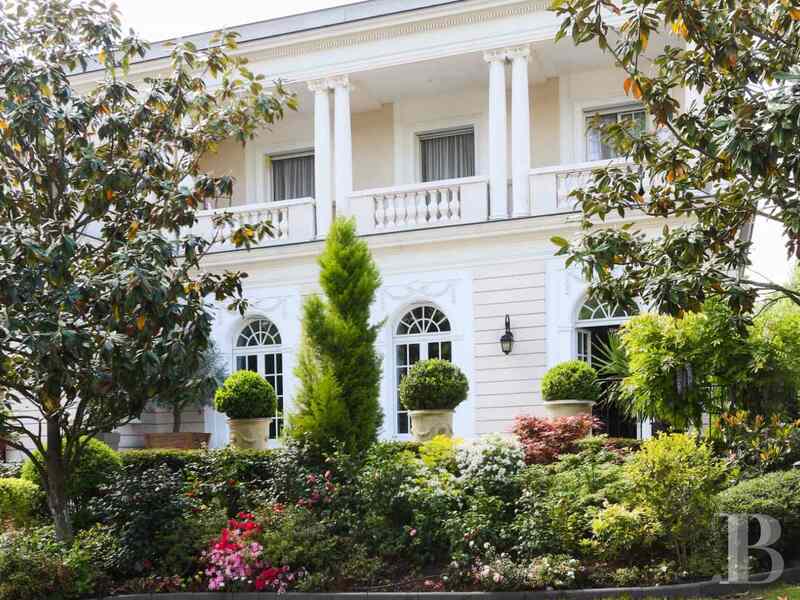 This villa was built in 2008, taking successful inspiration from the Italian Palladian and neo-classical style. A rectangular building, it is constructed over a basement level. 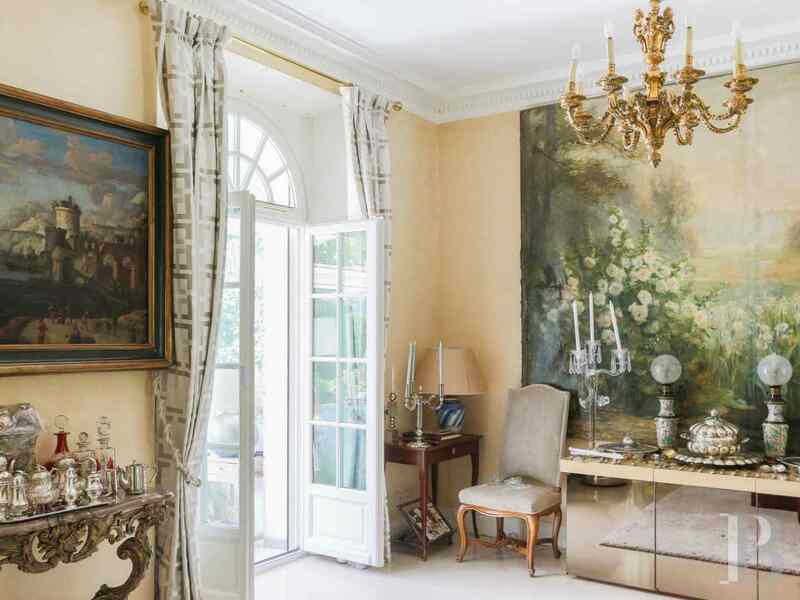 The facade, facing the river Marne, is adorned on the ground floor with mouldings and features French windows, topped with small-paned, fan-shaped tympanums and flowery string courses. The first floor includes a covered terrace, supported by double columns, with capitals, and enclosed by balusters. A thick cornice supports the gently sloping slate roof. 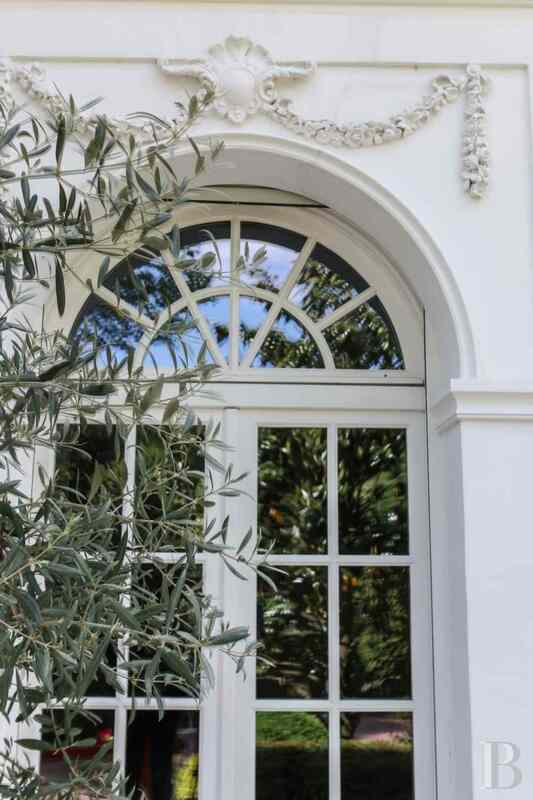 The garden side of the ground floor features similar moulding and French windows. The upstairs is adorned with panels between the openings and each end is flanked with columns bearing capitals. The villa is topped with a pediment. A conservatory runs the full width of the ground floor facade. Its sides and roof can be opened in clement weather. This level is given over to reception rooms. 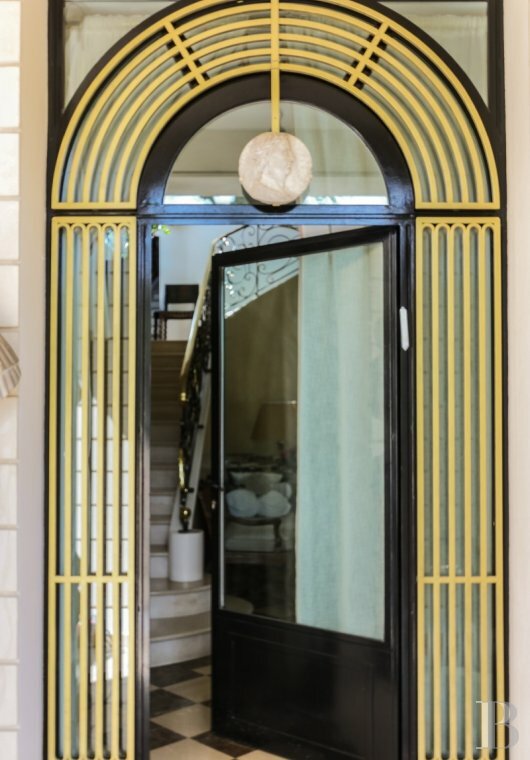 The villa is entered via a few steps, followed by a covered porch way, leading to the vestibule which houses a monumental, dual flight, marble stairway, with wrought iron railings, as well as a lift. 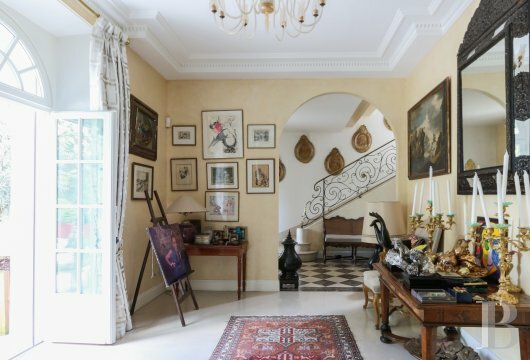 A through reception room opens on to a terrace, with a view of the river Marne, and into a conservatory, extending the reception room. This room has a marble floor, painted walls and ceilings enhanced with cornices whilst columns discreetly divide it into two sections. 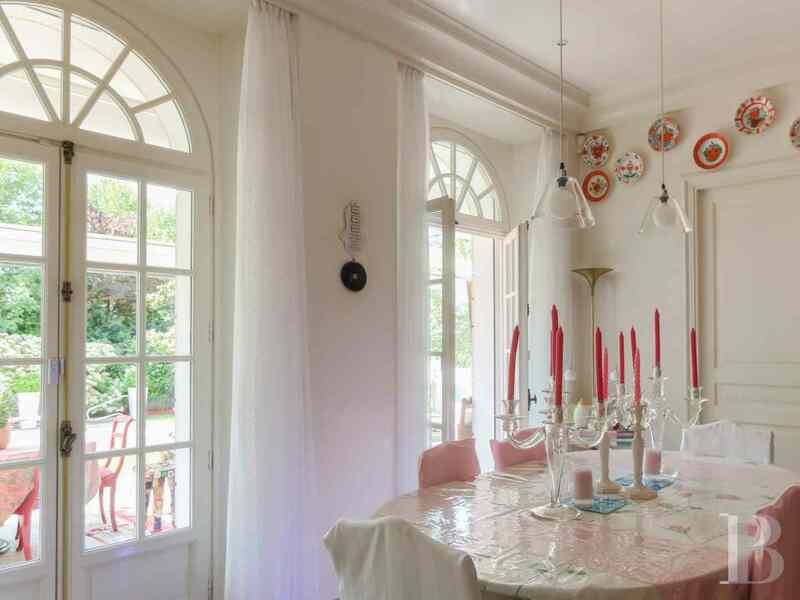 A dining room opens into a fully fitted kitchen and provides access to the conservatory. 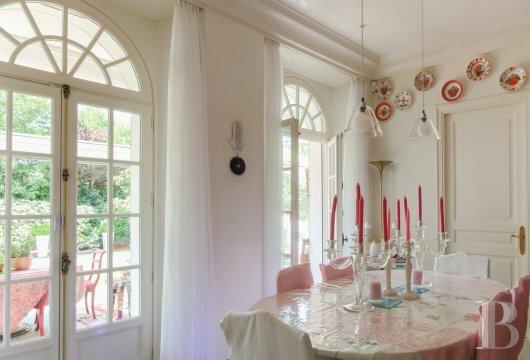 It has a marble floor, painted walls and ceilings enhanced with cornices. The vestibule also includes a guest cloakroom and toilet as well as steps leading down to the basement. This level can be reached via the stairway or the lift. 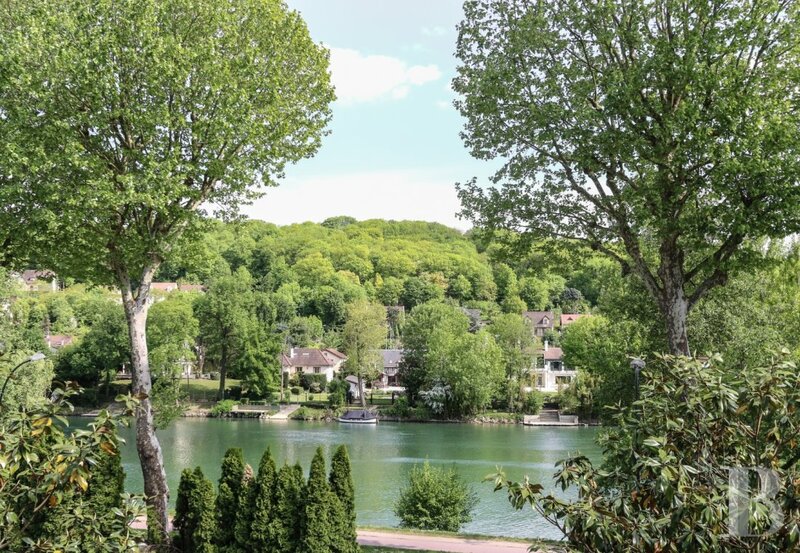 On the river side, the space is totally taken up by a master suite which communicates with the covered terrace and its superb plunging view of the river Marne. The bedroom includes an open-plan, fitted dressing room area. An adjoining marble bathroom has a whirlpool bath, an Italian shower, a hammam, two wash-hand basins and a separate toilet. 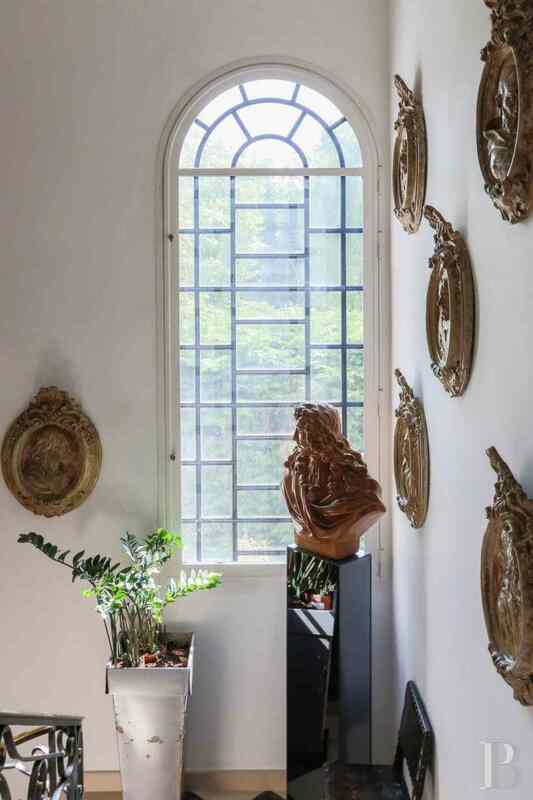 An atrium window lets in copious amounts of light. 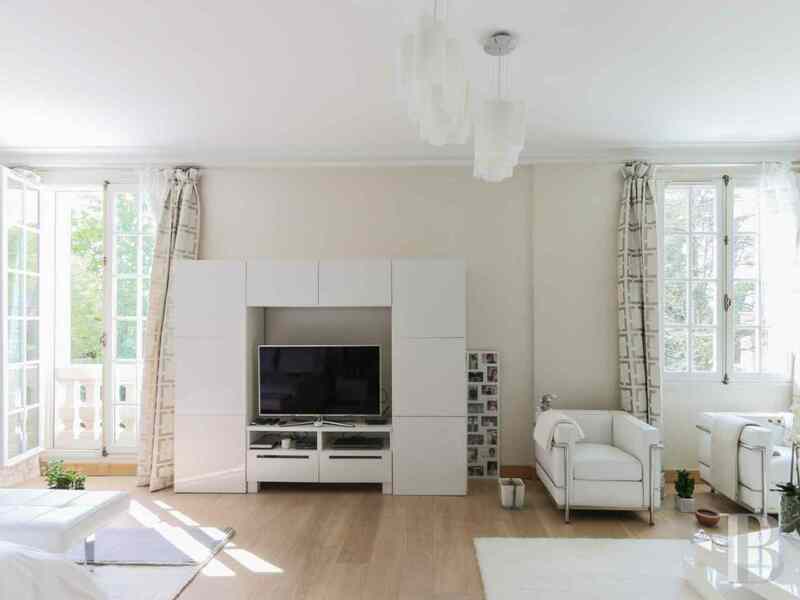 The floors are laid with herringbone parquet flooring, the walls are painted and the ceilings enhanced with a cornice. There are two suites on the garden side. A first suite has a bathroom, fitted with a bath, a wash-hand basin and a toilet, adjoining the bedroom. A second suite has an adjoining shower room fitted with a shower, a wash-hand basin and a toilet. The floors are covered with parquet flooring laid in strip or herringbone patterns. The basement is reached either via the ground floor vestibule or, by car, via an outside ramp. It comprises a 4-car garage, a boiler room, a laundry room, an air-conditioned cellar, machine rooms and storage rooms. A bedroom, with a dressing room, opens on to a window well. There is a separate shower room and toilet. This level has floor tiles and painted walls. 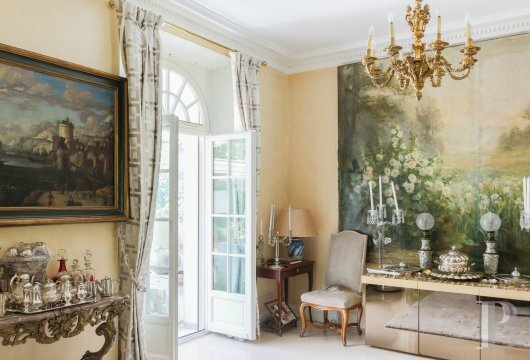 This stately residence, dominating the Marne, is concealed behind high walls. 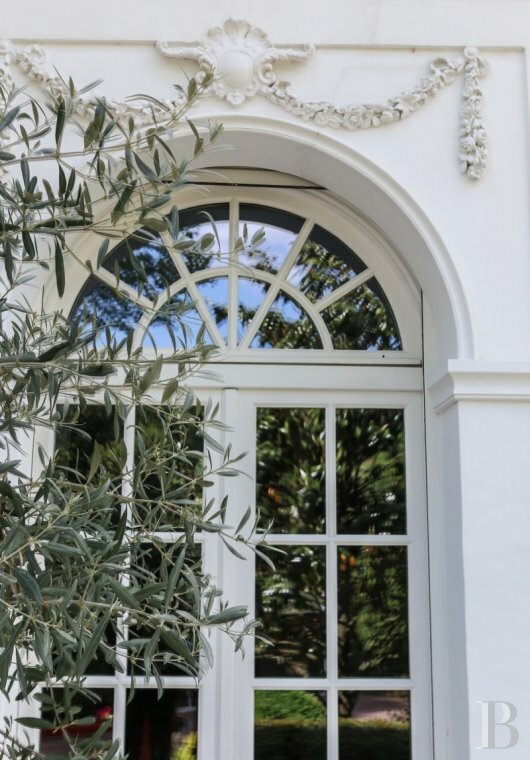 A combination of styles, a little Italianate and a little Georgian, it also brings to mind the orangeries of those large 18th century chateaux. The result exudes a great deal of distinction and character. So it is possible for soul and charm to take up residence in a recent construction. 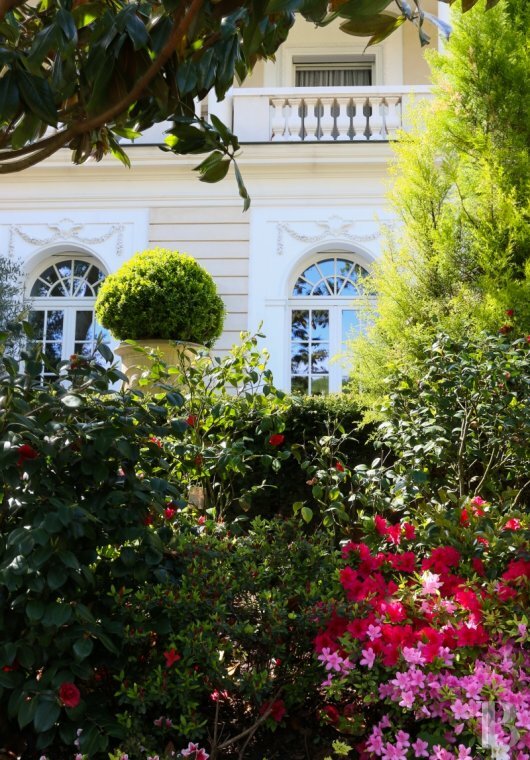 The delightful flower-filled garden is particularly well designed. The layout of these premises is such that the number of bedrooms could be increased. It is, furthermore, difficult to tire of the continually changing view of the river through the foliage.